Texas Billboard Tells Liberals Exactly Where They Can Go: Liberals LOSE IT. 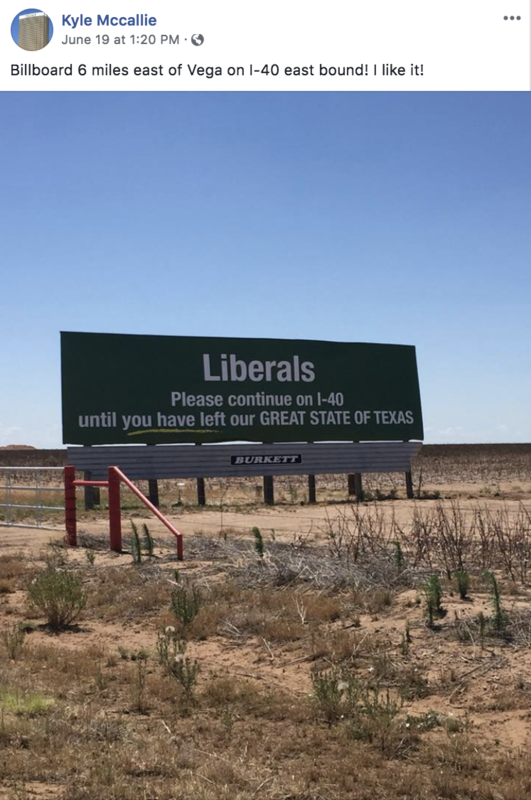 Texas Billboard Tells Liberals Exactly Where They Can Go: Liberals LOSE IT. Texas Billboard Tells Liberals Exactly Where They Can Go: Liberals LOSE IT. Mccallie told Patch in a Facebook message Wednesday he doesn’t know who put the sign up, but he thinks it “speaks for itself.” If someone is offended by it then maybe they should follow the directions,” he said. Mccallie later added that he posted the picture with no intention of it “going viral.” He said he doesn’t own the billboard or the land it’s on. “I posted it because I liked it and got a good laugh just like thousands of people have,” he said. Randy Burkett, who owns Burkett Outdoor Advertising and the sign, told McClatchy that after all the backlash and media attention the sign got on Tuesday and Wednesday, it would be taken down immediately. Incredibly, liberals who rush to inappropriately brand conservatives and President Trump as Nazis had a cow and a half over a sign that does little more than poke a little fun. It certainly wasn’t as harsh as when NY Governor Cuomo told conservatives to leave the state (something liberals didn’t protest). 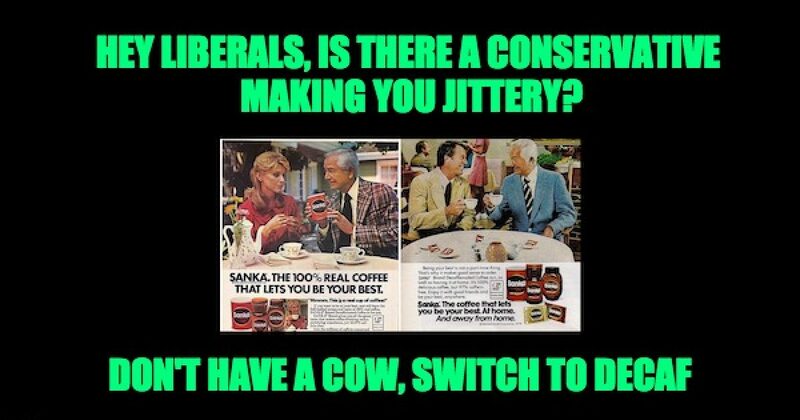 Perhaps its time for liberals to calm down a bit, allow me to suggest some decaf.